Abinash Tripathy, Founder and Chief Strategy Officer at Helpshift, explained that asynchronous communication is the most important enabler of the AI-powered world. 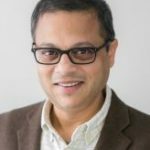 Tripathy began his thought leadership presentation at the 2019 Customer Experience Leadership Forum: Beyond Satisfaction, Building Loyalty, which was held on March 12 in New York City, by noting he was a little disappointed in the level of the audience’s interest in AI and automation. “This isn’t a problem with the audience and your companies. It’s a problem with the vendors who are selling to you. The AI and automation effort, so far, has largely been a letdown. I’m going to talk about what customers are doing that’s working, and I’ll change your mind about automation by the time you walk out of this room,” he stated. “Amazon is a company that’s known for rolling out automation in almost every aspect of its business. If you need to scale, as an Internet business, you have to rely on automation and technology. There’s a rule on the Internet called the 99-1 rule. It’s not applied to CX, customer service, and contact centers, but it needs to be. This rule says that only 1% of the Internet creates content, 9% curates this content, and 90% consumes it. In customer-service contact centers, 90% of interactions are handled by humans, and only 10% are handled by machines. I’m going to talk about how to leverage automation technology to scale your customer-service operation,” he said. Tripathy described an experience of watching a friend’s customer-service operation over the course of an evening. “What I observed was that the human being—the agent—who served the customer was purely a middleman. All that person did was join information from eight or nine internal systems that weren’t connected to provide an answer to another human being. The vision is to integrate these systems, reduce the burden on humans, and make employees more efficient. By 2020, we want to transform these human-powered contact centers into machine-powered data centers,” said Tripathy. “This vision can be realized by recognizing this omni-channel strategy we’re seeking is failing us. It’s created fragmentation, and we can’t focus on the optimal experience. Like all the other aspects of CRM, customer service has to be driven like a funnel, which isn’t happening now. We want to drive most customers to self-service. They can get a response immediately, and it’s the cheapest channel to support from an operations standpoint. You want 90% of people to self-serve,” he said. Tripathy described the journey of MoviePass, which had a failing business model that they were able to transform to become one of the fastest-growing subscription plans ever. Their customer base ballooned from 20,000 to more than three million. This rapid growth translated into a corresponding ticket backlog that reached 150,000 issues at its peak. The back and forth required for existing email support was taking too long, and live chat simply wasn’t feasible. The company moved to messaging powered by bots. Immediately, the backlog went to zero, the CSAT increased by 20%, resolution time was improved by 24%, and hundreds of thousands of dollars in agent-related costs were saved. “Synchronous communication is hard to scale. We force customers into live, synchronous channels, and this doesn’t work. Asynchronous communication is the most important enabler of the AI-powered world,” stated Tripathy.